Safe & Secure Aromatherapy Blend is a combination of 100% Pure Essential Oils. The aroma is deep and earthy and graced with floral notes of rose, lavender and geranium. 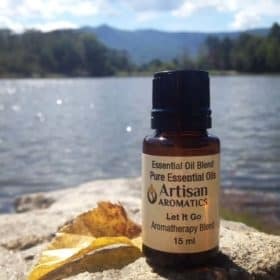 The essential oils in this blend have been described by aromatherapists as having relaxing, grounding and calming properties. 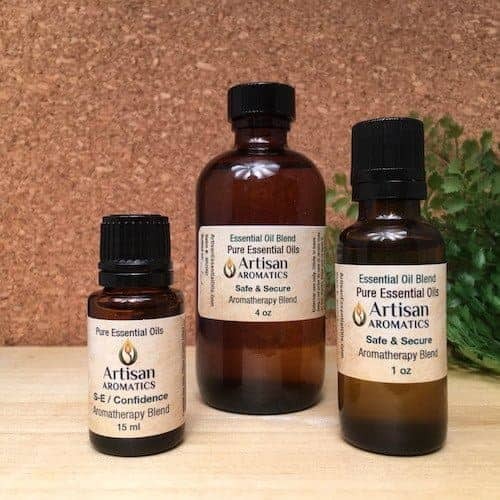 Safe Secure Aromatherapy Blend is a combination of 100% Pure Essential Oils that have been described by aromatherapists as being conducive to relaxation and greater calmness. 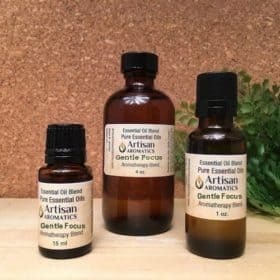 The aroma of Safe & Secure Essential Oil Blend is deep, earthy and grounding with beautiful floral notes of rose, lavender, and geranium. Our blends are formulated using pure essential oils. 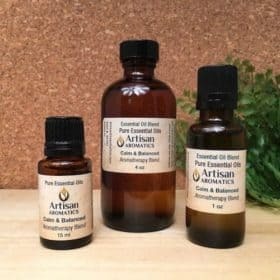 They can be used as-is in a diffuser or well-made aroma locket but should be diluted in a vegetable oil before applying to the skin . 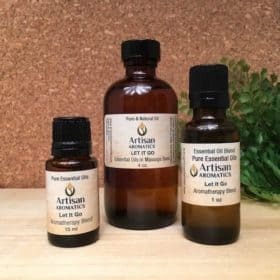 To purchase the same formula in a ready-to-use form, go to our Massage Oils page where you’ll find most of our aromatherapy blend formulas pre-diluted to 2.5% in our very special massage base (a combination of Sweet Almond, Grapeseed and Jojoba available in 4oz or 8oz bottles. 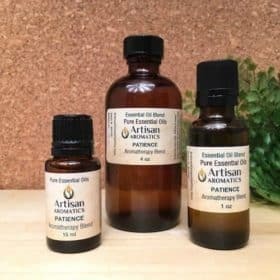 Essential oils that have been described by aromatherapists as calming might possibly encourage drowsiness while driving so we don’t recommend this blend for use in the car or before driving. Also see General Safety Considerations in the box below.